A collection of delicious luxury treats to please everyone. Will the chocolate attract the most attention or will the mince pies and iced top Christmas slab lead the way? 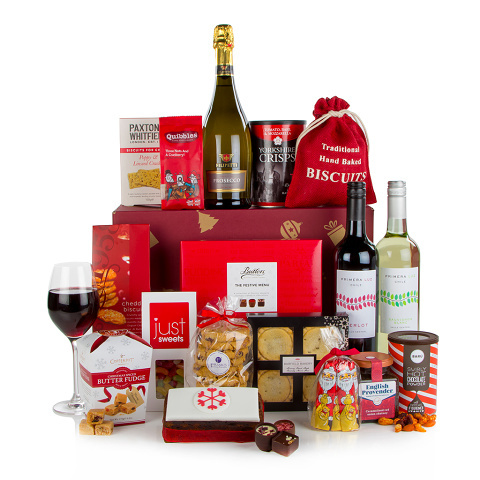 With Christmas spiced butter fudge, a pair of excellent wines, a bottle of Prosecco and Cheddar biscuits, this is a hamper that really does offer a Taste of Christmas in every product. The Taste of Christmas Carton Hamper is also available in a beautiful willow basket.